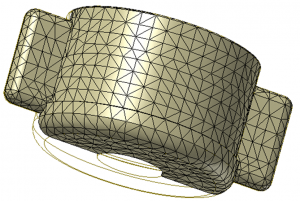 Our Finite Element Analysis (FEA) cuts through boring and confusing technical jargon with captivating graphics and animations that illustrate what words alone cannot. It is a powerful tool that appeals to the visual senses. 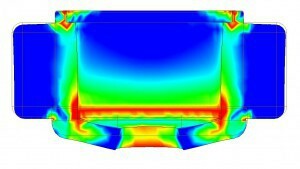 FEA uses complex computational software to determine the stresses that are generated when a part is loaded or pressurized. 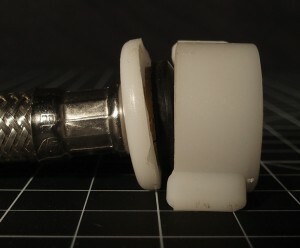 The example below illustrates the stresses in a coupling nut when it is tightened and pressurized. 1) The physical evidence is examined. 2) A digital model is created from the physical evidence. 3) The digital model is divided into small pieces know as “finite elements,” and realistic loads are applied. 4) Using the loads applied in the previous step, the stresses within the part are determined. The red area near the base coincides with the highest stress from the applied loads and with the fracture location in the physical part.